A stat wipe and a new dictionary cause uproar in the Scrabble community. Scrabble, like most popular board games, has a social presence online. 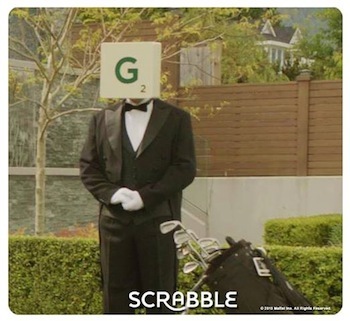 As of May, board game manufacturer Mattel has turned the keys of its popular Scrabble Facebook app to EA, and the transition has many fans upset. When EA updated the game, they added new languages, a custom board feature, and an ad-free version. They also wiped everyone's stats, removed manual match-making and timer mode, changed the way the pages auto-refresh, and even changed the in-game dictionary to the blasphemous Collins edition, according to the BBC. As the official Facebook page fills up with complaints, player hate is spilling out into groups like this. As Scrabble player Helen Hawkins told the BBC, "Who wants to play it in six languages? I've been playing for over four years, I had 5,000 games on my statistics, I'd won 71% of them, I had my best scores recorded - and now it's all lost." According to Mattel, it's all part of the move. "As part of the transition [to EA Mobile], we were unable to carry over ongoing games and statistics, the timer mode and the manual match-making function. The new version will have the same robust statistics moving forward." "We are sorry we weren't able to please everybody," a Mattel Spokeswoman said. "We produce the board game but we're not experts in electronics."